Lendonwood Gardens is looking for volunteers of any age or ability to help “Put the Garden to Bed” on Saturday, October 27. At the annual fall workday, community members are invited to help prepare the botanical garden for the winter. Reynolds added that Lendonwood attracts tourists as well as local residents to enjoy its plant-life in all seasons, adding to the quality of life enjoyed by the Grand Lake community. The workday often draws families with older children who lend a hand, Reynolds said. Volunteers typically include several young people, such as local Boy Scouts and members of Interact, the student organization affiliated with Rotary. Volunteers should gather at 8:30 a.m. by the barn at the back of the garden for donuts and coffee, as workday teams are formed. Jobs typically range from light work tasks to heavy-equipment operation. This year, workday tasks will include cleaning benches, building and repairing walkways, cleaning the Angel of Hope statue, washing the gatehouse door and windows, repairing and building fences, pouring concrete pad for bench, spreading gravel in pathways and working on the sprinkler system. Volunteers also will tackle such jobs as weeding, removing vines, clearing the Children’s Garden, pruning shrubs and trees, picking up twigs and dead branches, covering the stream with leaf netting, removing the greenhouse cover, and staining concrete bench pads, among other tasks. Supplies for the various projects will be available, although volunteers should bring their gloves and wear comfortable work clothes. The workday is usually completed by about 2 p.m. Lunch will be provided by Lendonwood volunteers and Grandwood Assisted Living. In case of bad weather, the fall workday will be held on Saturday, November 3. 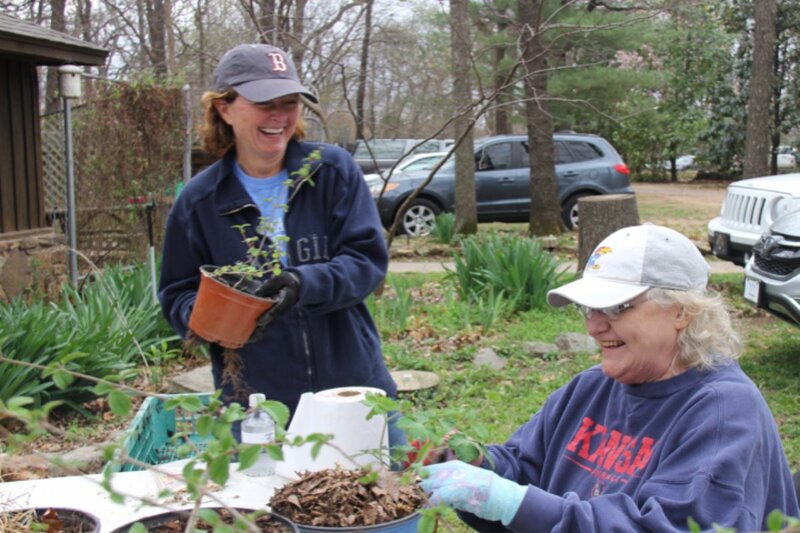 For more information about the October 27 workday, contact Lendonwood Gardens at 918-786-2938.